Scott Olson Demonstrators protest outside the Leighton Criminal Courts Building during jury selection. WBEZ's Jenn White has a knack for telling Chicago's modern history. In her podcasts Making Oprah and Making Obama, White recounted the captivating stories of local personalities gone global, and her current coverage of the Laquan McDonald case follows in that vein. 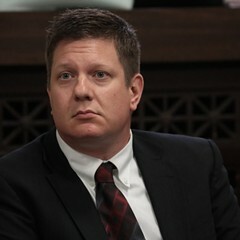 White's new serialized podcast, 16 Shots, follows the case from the beginning, detailing the night in October 2014 when Chicago police officer Jason Van Dyke killed the 17-year-old- McDonald, and the subsequent fallout in Chicago and throughout the country. 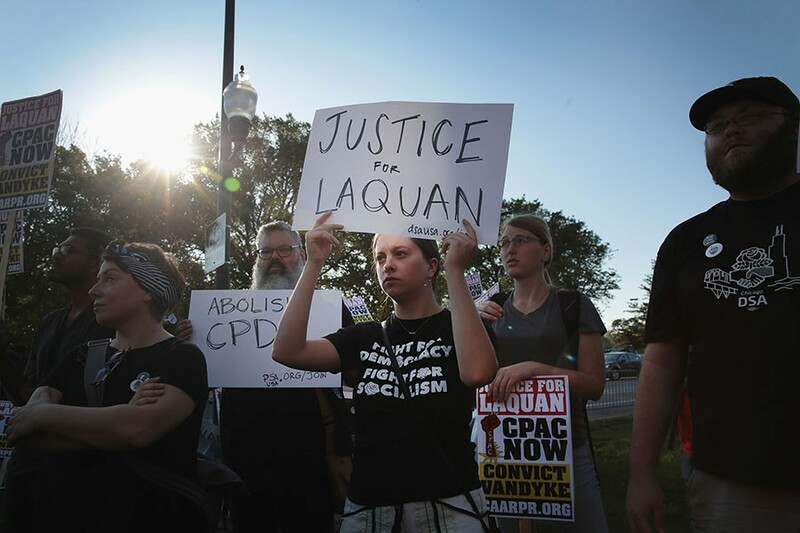 McDonald was shot 16 times by the officer—hence the podcast's title—and the details that slowly emerged from that night sparked a new conversation about the Chicago Police Department's practice of covering up its cops' abuse of people of color. McDonald was the 14th person shot and killed by Chicago police in 2014, and his death initially made very little noise in the news. 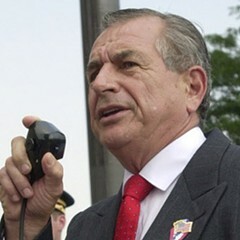 But as details emerged over the next year, Chicagoans learned the truth about what happened the night of McDonald's death. White explains how the emergence of a witness and an inside informant and the release of the striking dashcam video of the shooting all led to Van Dyke's trial. Vincent Gaughan posed a public danger one morning when he was 28. But the police response was far different from Jason Van Dyke's.